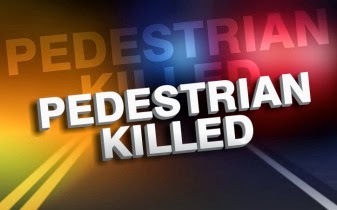 On November 14, 2016 at 5:03 p.m., Galloway Township Police responded to a motor vehicle accident involving a pedestrian at the intersection of Jimmie Leeds Road and Pitney Road. According to the driver Edgar Pelaez-Ruiz, 21 of Pleasantville and witnesses, Ayalew Beyene, 70 of Galloway was trying to walk across Jimmie Leeds Road from the south side when he was struck by Edgar Pelaez-Ruiz who was driving a 2001 Ford F150, who was attempting to travel west on Jimmie Leeds Road. Ayalew Beyene was transported to AtlantiCare Regional Medical Center Mainland Division, where he was pronounced deceased. Anyone with additional information please contact Ofc. Neal at (609)652-3705 Ext 071.